Kendrick Lamar again heightens the art of the music video with his SZA collaboration, “All the Stars,” from the Black Panther soundtrack. 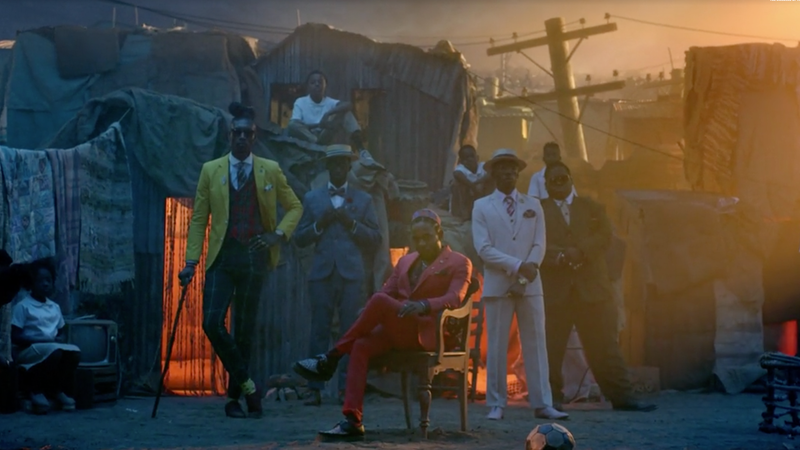 Directed by Dave Meyers and Lamar’s Top Dawg crew “the little homies,” this is an oil painting in motion, rich with imagery of Lamar rapping as opulently dressed black men stand beautiful and poised, and Lamar surveying the land with a pack of actual panthers (the animals). Why not. The beauty here is in the depth of all these golden shades and the stillness of it all. SZA performing in a galaxy setting is how I feel and imagine I look when listening to SZA, the personification of fly. It ends from the perspective of Lamar giving himself up to three black women pillars of this world. You may now commence speaking about everything Black Panther-related in hyperbolic terms.